Feeling Triumphant: Successfully completed the 1st 100 km Trail walk. He was all work and no play. Priority was work and that got the better of him always. So much so that it was affecting his personal life at work and at home. As a result eating habits were erratic with no control on what was being eaten, there was no physical activity or exercising for that matter. The net result of all this was an unhealthy lifestyle that he was leading. But, a discussion with his wife made him realize that he had to make an effort to improve and get on the brighter and healthier side of life. Here is Dhawal Desai’s story in his own words. I work in the IT industry and my focus was always more on work, meeting project deadlines. Personal life was almost zilch as I would be so exhausted when I came back from work. I was only pushing my team towards working harder and almost forgot that “Team success is a perfect blend between hard work and fun”. I realized Element of hard work was already there but no fun. I had a serious discussion with my wife what is to be done. How could I make a change she spoke about balancing my act between work and home? And it had to start with “ME” I had to change… focus on my health and change my lifestyle. What my wife told me made sense. It was no rocket science but, I had to make that effort. The problem however was I did not know where to start and what to do? Then one day I happened to be watching NDTV and I came across their reviews on fitness bands and all the features and how these bands can help you improve your lifestyle. I thought it was great but somewhere felt it a missing element of motivation and guidance. I could wear the band and get all the stats but, then what do I do with those stats was the big question playing on my mind. How do I interpret those stats and convert it into a performance or lifestyle change? I am not a fitness trainer nor a health or nutrition expert. Just increasing my step counts is not going to help me towards a healthy lifestyle. So I dropped the idea of getting a fitness band. Few days later, I once again was going through the same program on tech on NDTV and this time around I heard about GOQii. The concept of GOQii appealed to me because it was not just another fitness tracker. The idea of having a coach connected all the dots for me. I read more about GOQii and its features and I was convinced. An App + A coach + great eating suggestions + gradual workout sessions + motivation all of these without any impact on my work schedule was the right push I needed. I did not think twice and immediately bought myself a GOQii band and Shimpli Patil was my coach. My coach had a call with me and I explained my lifestyle to her. In fact, even before my band arrived we started working on my issues. It took a while for the band to reach as I work in the Middle East (ME). Till my band arrived I was interacting my coach on Skype. Then finally, when I got the band. My health goal was to lose some pounds as I was on the borderline of obesity (I was 120 kgs) and I wanted to change my attitude towards life. I wanted to be more positive.I started my daily routine wherein I started tracking my steps as well. I had started my regular workout. My water intake had increased. Anyway, the climate here in ME makes you dehydrated. Within a couple of weeks, I could see the difference in my personal life and professional life. I wanted to ensure I was eating a balanced diet to support my increase in physical activity, I had also noticed that I had started eating better and right. All my in between junk snacking had stopped. My coach helped me make adjustments to my nutrition while simultaneously kept me motivated to keep moving. As a result, I started seeing consistent results and completely fell in love with what I was doing. I had started feeling better and my team also noticed this positive change in me. Work became more fun for my team. I was not exhausted when I came home so could spend fruitful time with my family. 100 KMs in 48 hrs… now that’s something I doubted. But, again she managed to give me the right push and motivation to register. I registered for my first 100 km trail walk to be held in Dec 2014. I was all charged up for the trail walk. My team was Skywalkers. During the trail walk, I happened to meet Kuntal Joisher and Anusha both trained mountaineers. Kuntal was going to be climbing Mount Everest in April 2015 and Anusha was doing the trek to Everest Base Camp (EBC). I was always in love with mountains and green forests. Meeting them was my second motivation that I needed. While on the trail walk, the thought of going to Everest Base Camp stuck with me. I thought if I manage to complete this 100KMs within 48 hrs I am going for the EBC trek. 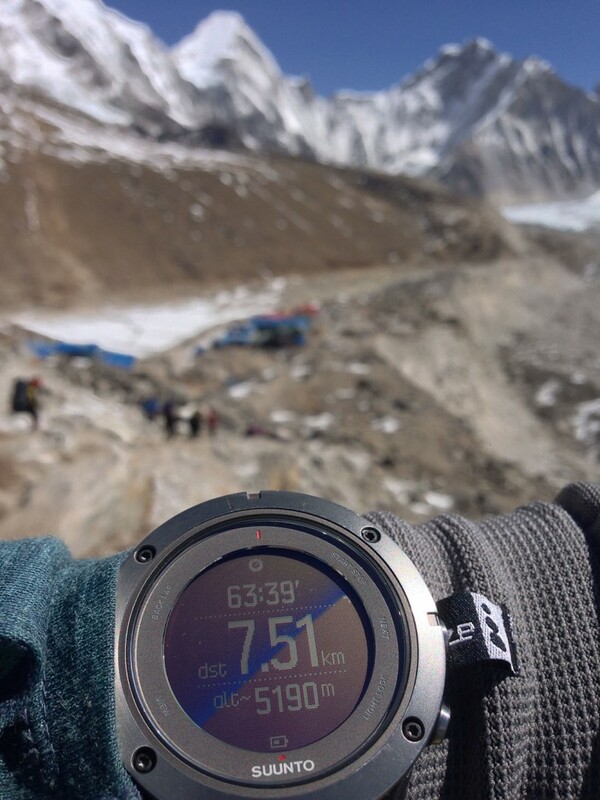 Well, Skywalkers completed the quest within 45 hrs and I said, there you go… Everest Base Camp here I come. The trek was all planned and I registered for it for April 2015. I trained for 3 months to be fit to go to EBC. I had to bear in mind two things the weather conditions and altitude. I was asked to hydrate myself as much and also do some strength exercises or my legs, back and shoulder. I had to carry 3 liters of water and walk on the trek. The trail walker was a good initiation for trekking. 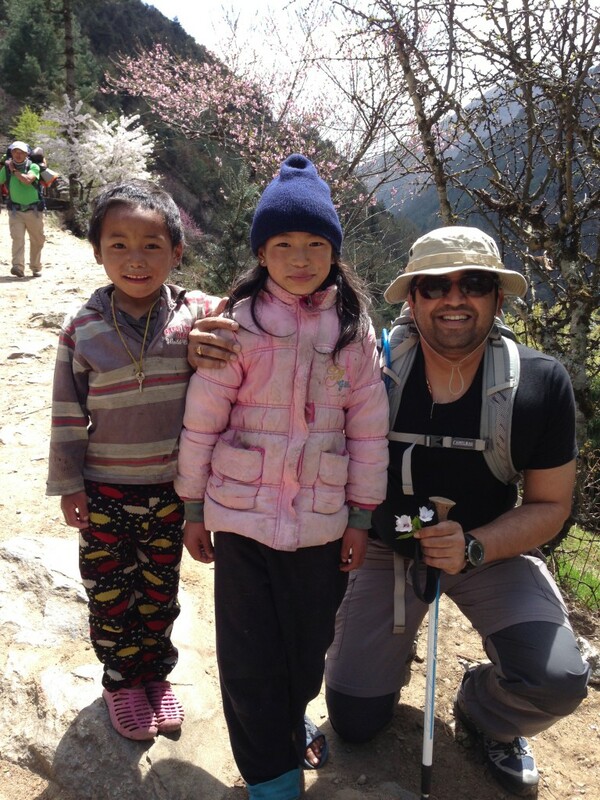 My second goal was to complete the EBC trek and guess what I did that as well without a hitch. My family initially was not sure or convinced that I would be able to do EBC trek but, after I completed it they could not believe their eyes. Both, the successful completion of the 100 km Trail walk as well as the EBC trek was a great high and ego booster for me. I knew I could do a whole lot. Nothing was impossible. Now I plan to take this further. I plan to do one Himalayan trek every year. And, I hope to keep the same spirit. 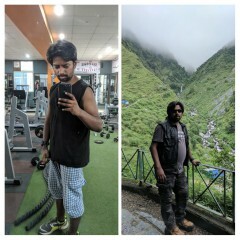 I am fit now and feeling fit as well. 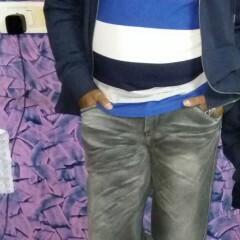 I am ranging around 94 kgs and my routine in the ME is to go to the gym once a day. On an average, I manage to clock 10k steps daily. My eating has improved drastically. Now I eat everything and I eat small meals. I eat salads and fruits regularly. If you ask what GOQii has done for me…from ‘All play and no work that made Dhawal a dull boy’, ‘Its lots of work along with play for Dhawal now.’ My life is more balanced and I want to be an example for my 2-year-old daughter. Through my journey, I have discovered one thing and that there are no substitutions for hard work and dedication. However, there are tools that make them a little easier. 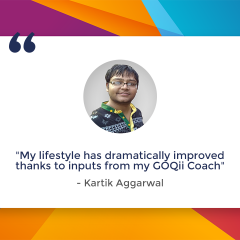 My GOQii coach made my hard work fun and the all the dedication seem possible. My GOQii band has made me accountable to myself. What does Coach Shimpli Patil have to say about Dhawal Desai? Dhawal has been on the GOQii ecosystem right from the time when I started my journey as a GOQii Coach. He was aiming at optimum fitness and feeling overall good about his health. We started off with some simple goals of increasing his daily water intake, having small frequent meals and hitting a good number of steps daily. 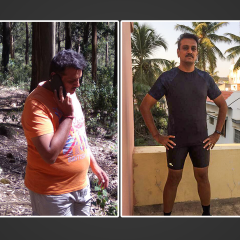 We started working towards these goals and within no time, Dhawal picked these habits and embedded into his routine quite seamlessly. Later, we began with a good workout routine starting with cardio and then alternating cardio with strengthening exercises. I could sense tremendous willingness and determination in him to achieve what he was supposed to. He got into a habit of surprising me each day with his magnificent performances. Little did we know that we would be heading towards massive goals in the coming days? 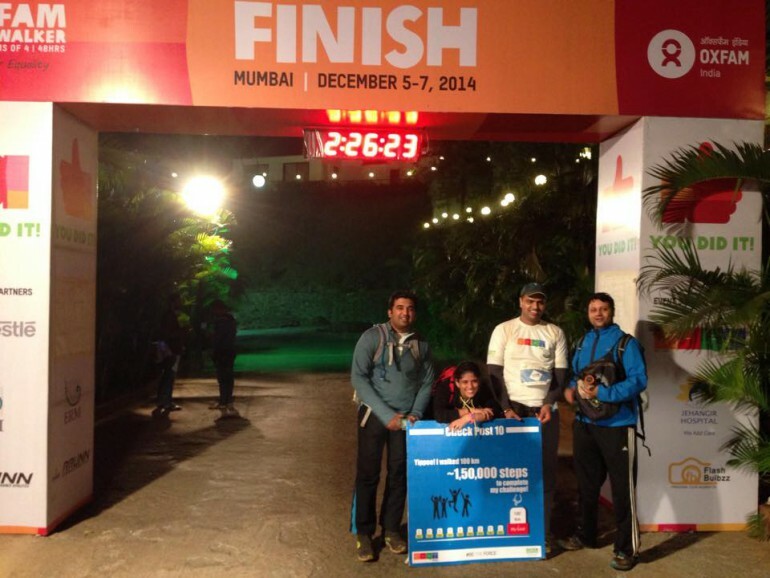 Soon, in a few months, Dhawal geared himself for a 100 km trail walk and completed it victoriously! It was like a kick start to his phenomenal journey wherein he then enrolled himself for the incredible Everest Base Camp trek. And that wasn’t enough, he aspired to walk the 100 km trail again in 2015 and he triumphantly completed it again! To achieve such great heights, good fitness is a must, but way beyond fitness, what one needs is the zeal and ginormous willpower, and Dhawal is a perfect illustration of it!